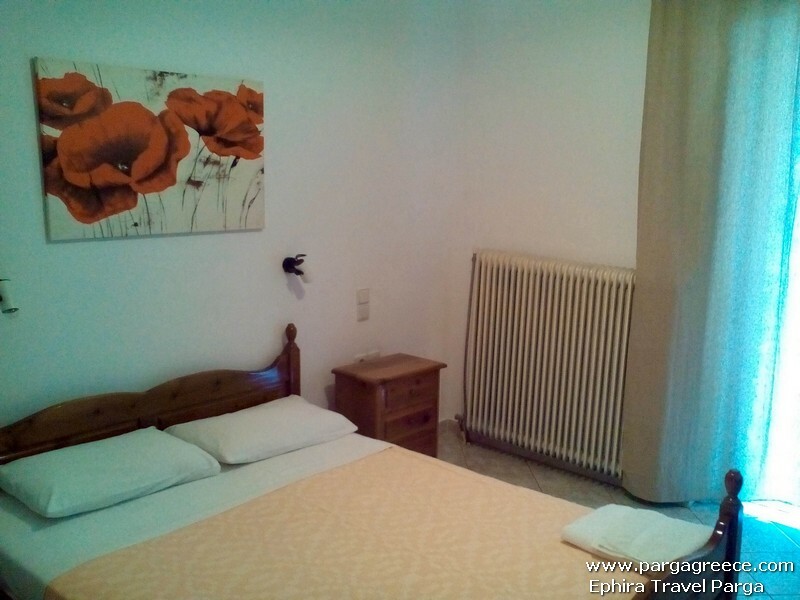 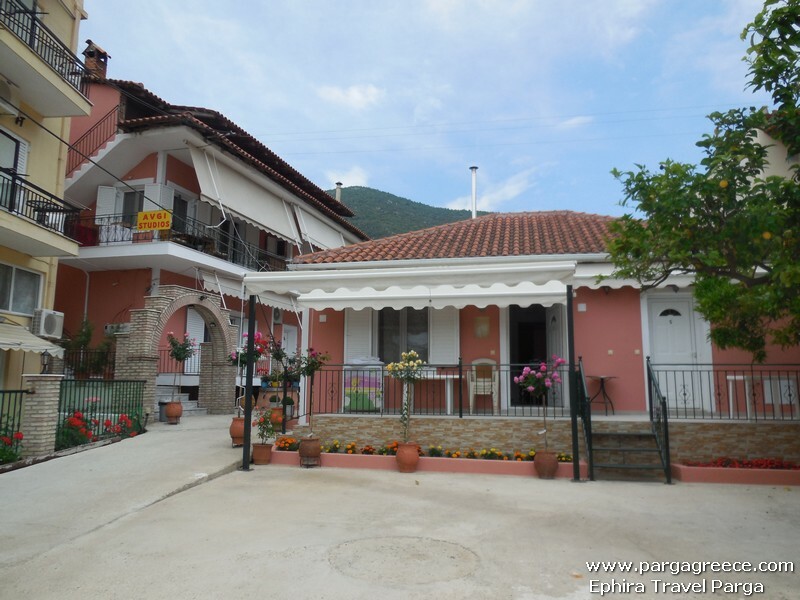 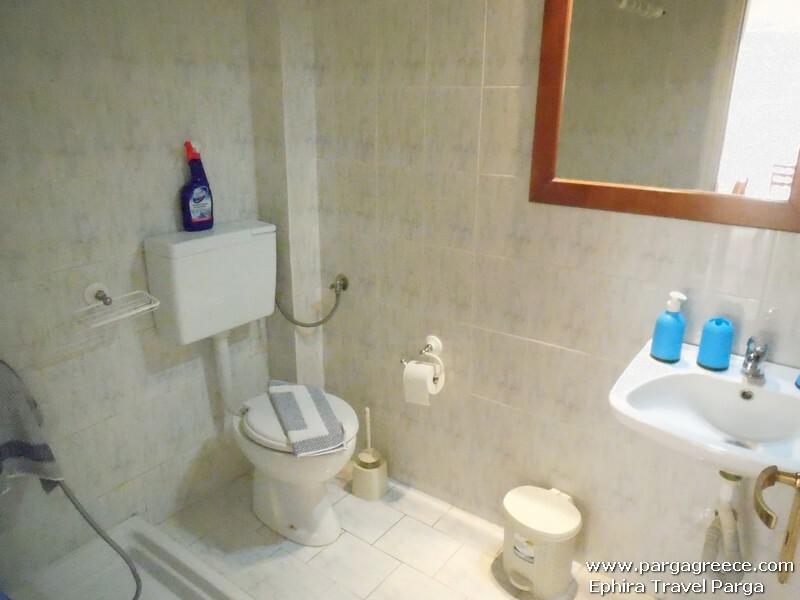 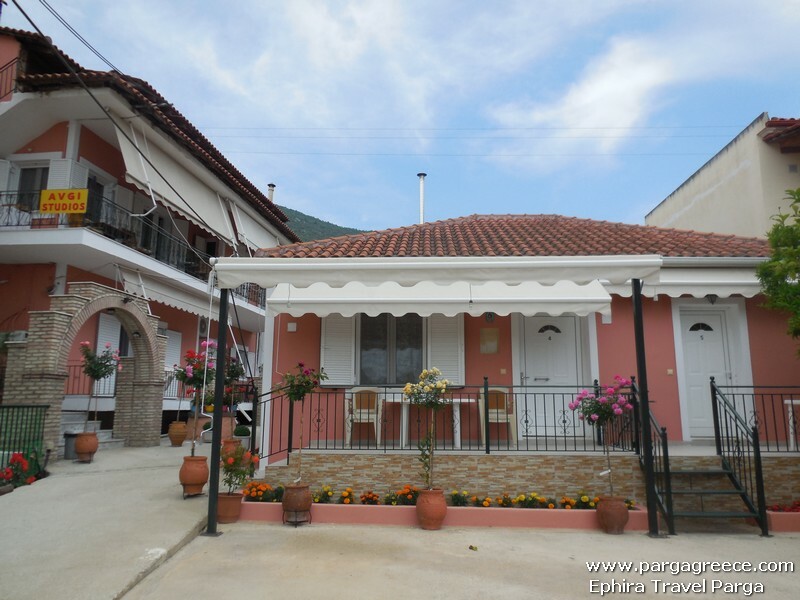 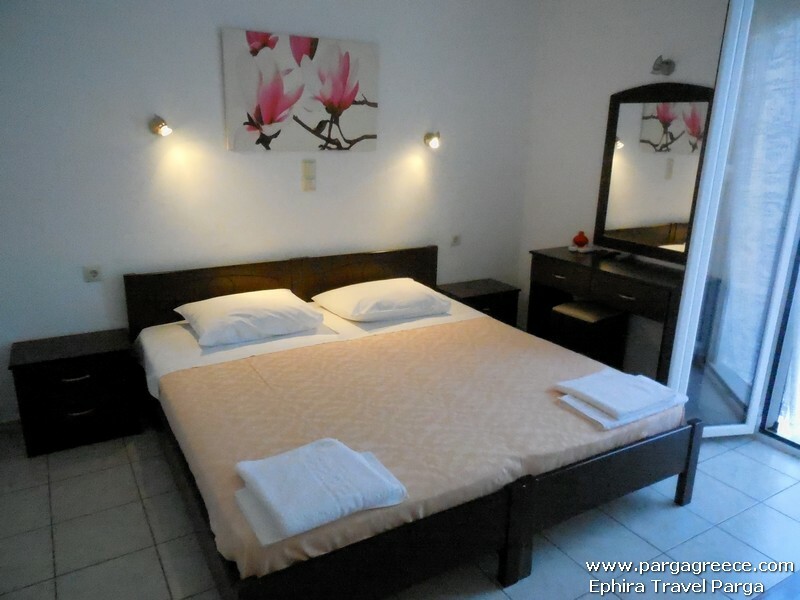 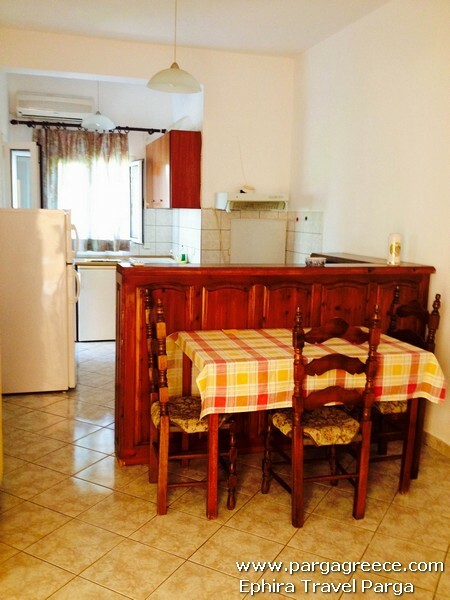 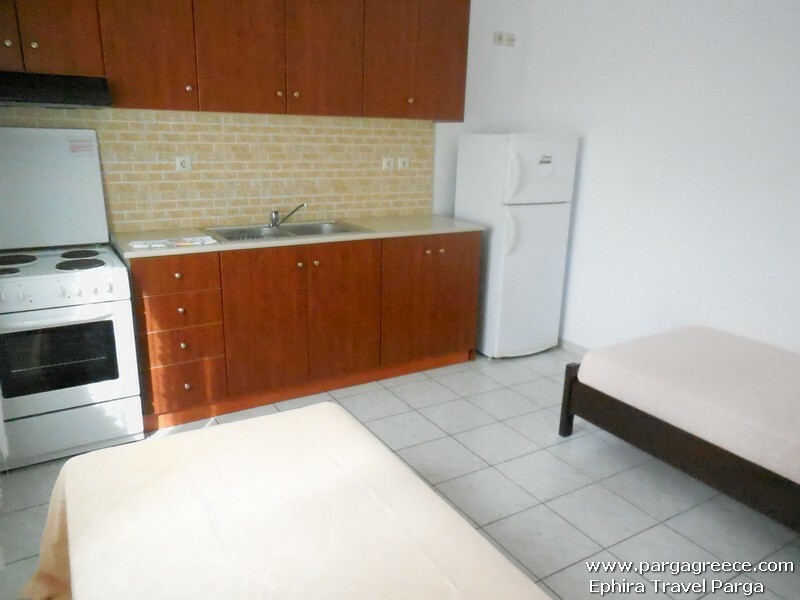 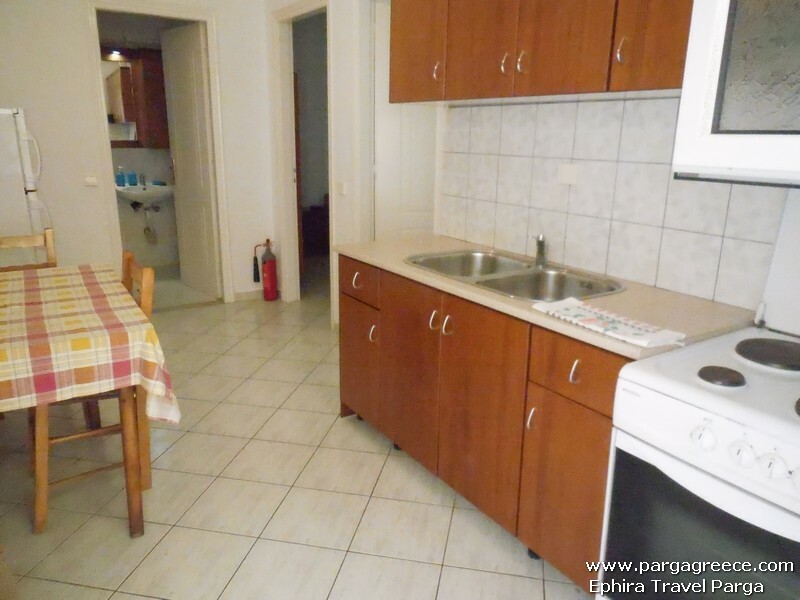 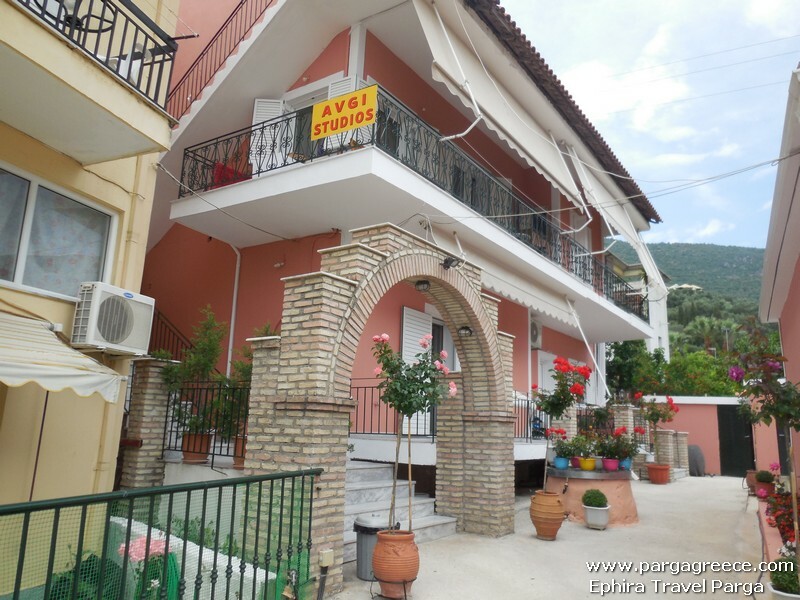 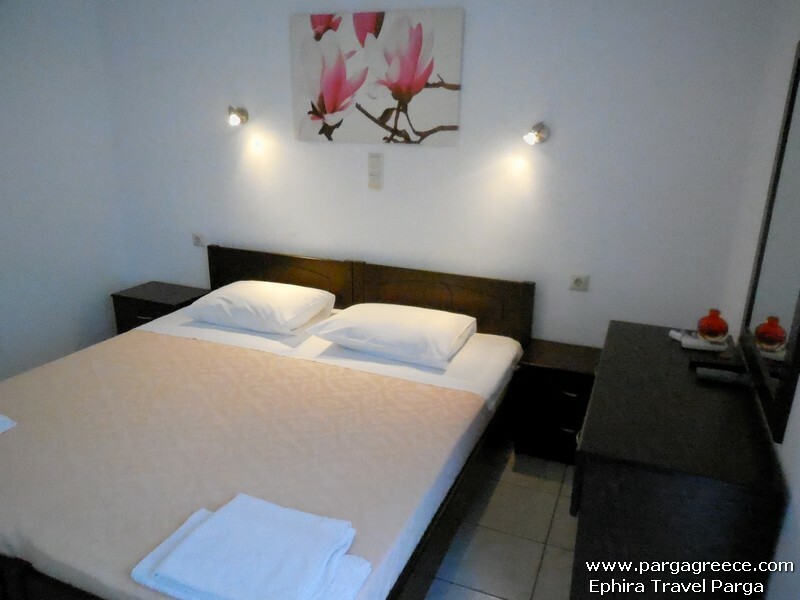 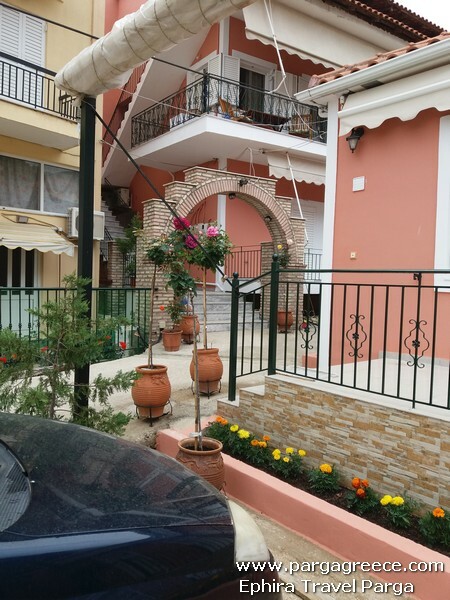 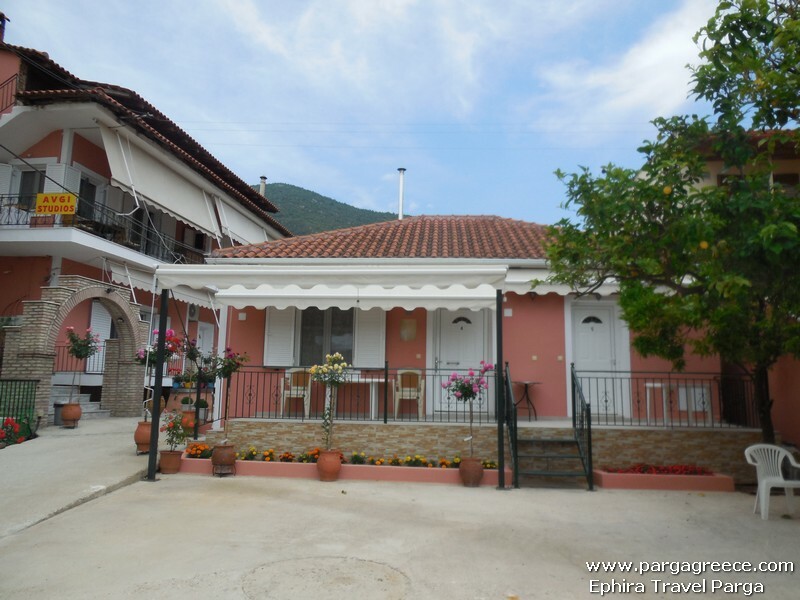 These attractive apartments(Renovated in 2019,all beds and the Internal of the apartments), situated only a few meters walk from centre of Parga & a couple of minute walk form the beaches of Parga( Kryoneri & Piso Kryoneri beaches),offer all comforts,such as air-conditioning,television,Internet Wi-Fi and private parking place(which is the most important for those they come with their own cars).All apartments are situated in a quiet area hardly 200 metres away from Kryoneri beach. 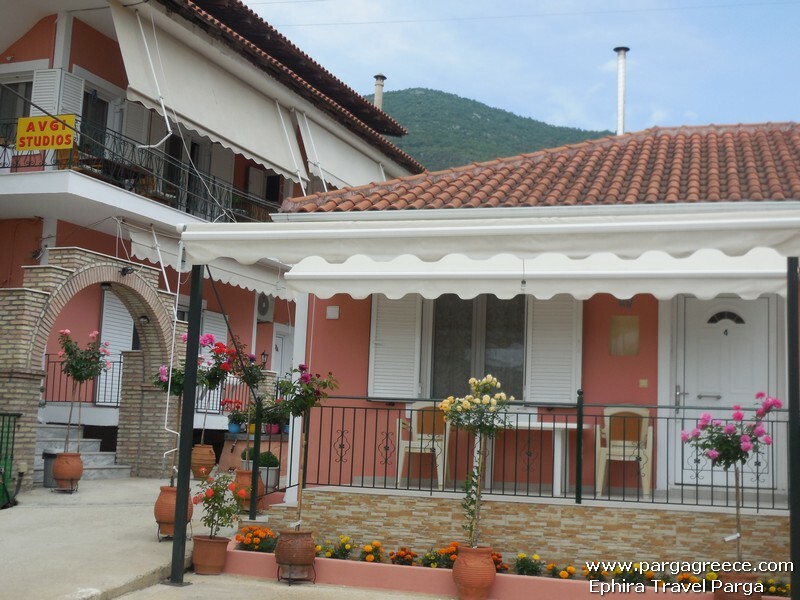 The family run accommodation consists of 2 (Two Bedroom apartments for 3-4-5 persons on ground floor) and also 3 (ONE bedroom apartments),Two (One bedroom apartments)are situated in ground floor and Only 1 (ONE bedroom apartment is situated on first floor).The 2( TWO bedroom apartments on ground floor), can sleep a family of 2-3-4 persons.Τhe other (ΟΝΕ bedroom apartment on first floor can sleep a family of 2-3 persons.Each( TWO Bedroom apartment) ,offers 2 separate bedrooms(One seperate bedroom with a double bed and the other seperate bedroom with 2 single beds, separate kitchen, private bathroom and private Veranda ,Air-Conditioning,television,Internet Wi-Fi. 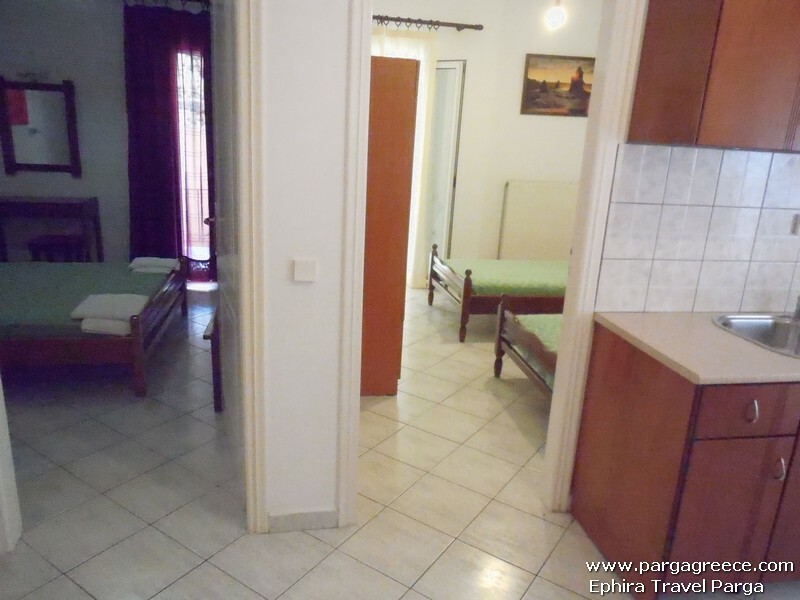 Each (One Bedroom apartment offer 1 seperate bedroom(with a double bed) and in seperate kitchen there are 1 or 2 single beds. 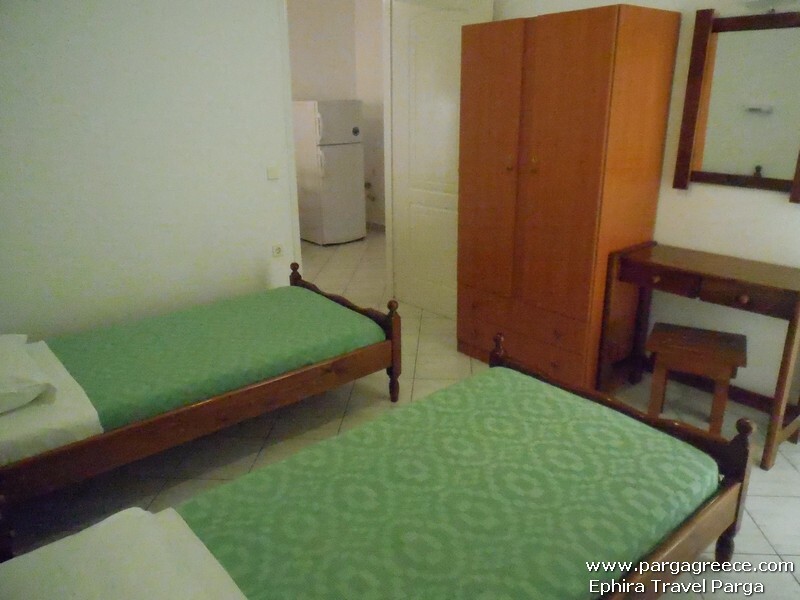 ONLY one apartment can sleep a family (If needed) of 5 persons (2 adults & 3 children)and the fifth bed will a sofa bed. 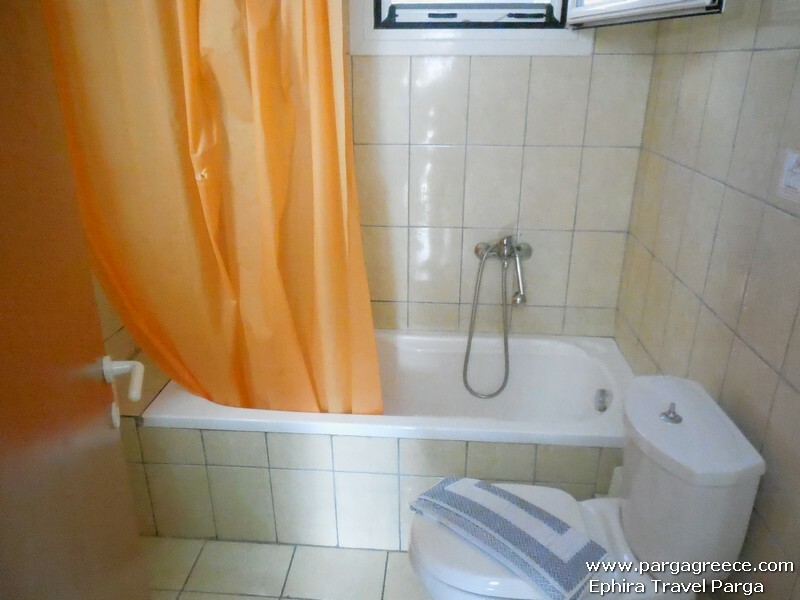 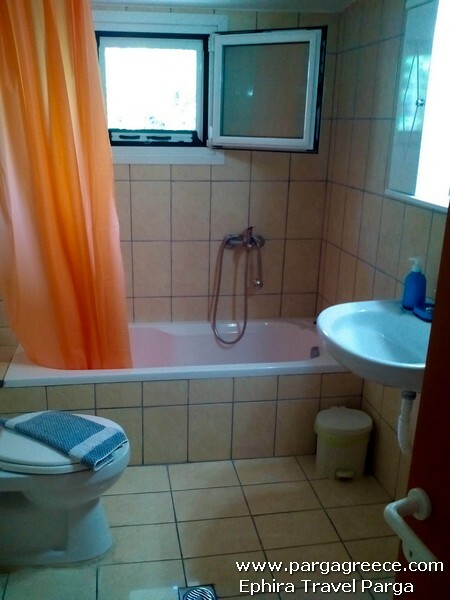 All 3 ONE Bedroom apartmentsoffers private bathroom, private veranda or balcony,air conditioning,television and Internet Wi-Fi. 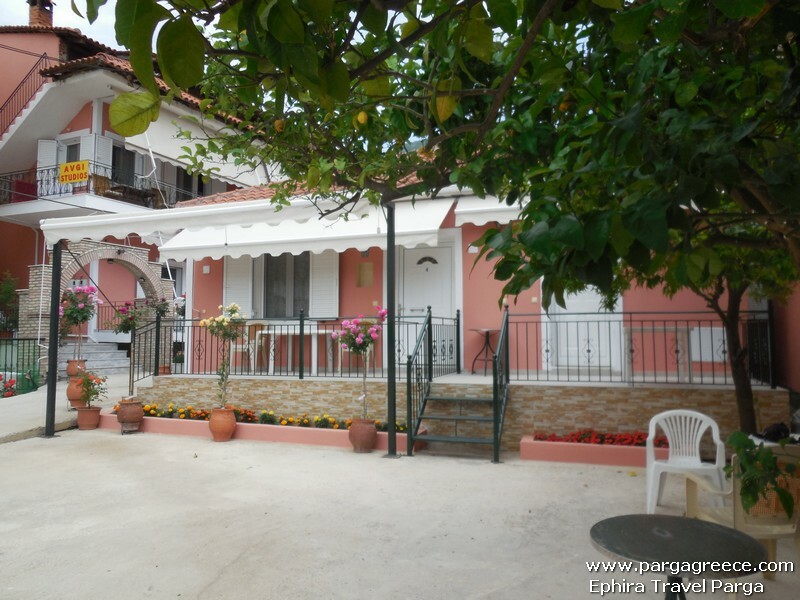 All apartments are well cared and owners are very friendly and it is an ideal solution for those they like an accommodation in quiet area very close to Parga centre and the central beaches of Parga(Kryoneri & Piso Kryoneri).The Big advantageus of the house is, that offers a private Parking for cars and motor bikes ,very important for those thay come with their cars or motors and also Internet W-Fi.